The American Idol 7 winner's charity song that takes the tenth spot in our year-end countdown is dedicated to his brother who died from brain cancer, which David performed on the season finale of American Idol 8. "Permanent" debuted in No. 1 in RX 93.1's Countdown Top 7 & Wannabes. It also landed in the top spot of Magic 89.9's Magic 30 Countdown and reigned king of the charts for four consecutive weeks in May. We at Cosmo love it for it allows hottie David's powerful vocals overcome us with emotion. After driving everyone to LSS madness with his infectious hit "Low," Flo Rida once more punched 2009 early with "Right Round," the smash debut hit from his sophomore studio album R.O.O.T.S. The song is an international success, making the #1 spot of Billboard Hot 100 its comfort zone for six weeks. While it isn't as LSS-inducing as "Low," we simply love to dance 'round and 'round to this catchy tune. A local hit accompanied by a well-made music video, "Antukin" is, hands down, among the best songs in Rico Blanco's excellent debut solo album, Your Universe. It won Song of the Year at the NU 107 Rock Awards. And we're quite sure Rico got YOUR vote for every single one of his songs simply for being cute and talented. Probably catapulted to being one of the most controversial records of the year after the infamous Kanye West outburst in the MTV VMA, "You Belong With Me" proved to be deserving of the award after peaking at #2 in the Billboard Hot 100, the first country single to successfully make it to the Top 5 after nine years (the last one was Faith Hill's "Breathe" in 2000). It also garnered three nominations at the 2010 Grammy Awards. It's a hit with Cosmo chicks, too, for its "hopeless romantic but with attitude" theme and catchy, can't-help-but-bob-your-head melody. Watch its fun music video here. Fergie was right when she referred to Boom Boom Pow as "not [the] typical first single"--referring to the unusual structure of the song. Call it a risky move for the group that brought us the usually formulaic infectious tunes, which include "Where is the Love?" and "My Humps," but it totally paid off. It not only sold 4.295 million downloads (in the US alone) but it also spent 12 weeks at the Billboard Hot 100. While it can never really be LSS-out-loud-inducing, since the song's stark defiance to musical conventions makes it impossible to be sung by other singers, it's something that can make you groove whenever you hear it in the car or in a club. Still, some brave souls dared to post their home-made performance in YouTube, like this one. For Cosmo chicks, it's memorable because this is the song playing in the background while Daniel Matsunaga walked down the runway at the Bachelor Bash. 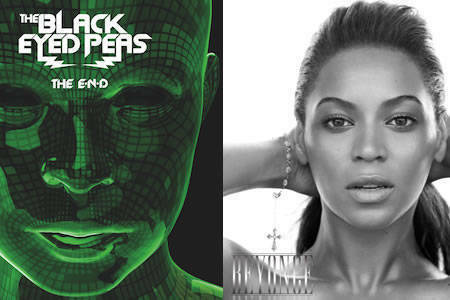 Watch Black Eyed Peas' original music video here. According to Caleb Followill of Kings of Leon, "Use Somebody" bloomed after the group's fall out while touring in Glasgow. Call it a blessing disguised as a bad moment because the song has become a certified hit. It peaked at No. 1 in U.S. Billboard Alternative Songs and in local charts as well, like in RX 93.1's Countdown Top 7. It is now even nominated as Best Song of the Year in the Grammy Awards. In a year when dance and pop music rule, this alternative song created a good buzz. Watch the song's official music video here. Not only is "Nobody" a certified LSS-inducing track (we're sure just by reading this entry the song is already playing in your head), it also gave us one of the most infectious dance moves of all time (check the music video here). While practically the meaning of the entire song is alien to us, save for three words (read: "nobody but you"), it still bolstered to mass popularity and has paved the way for Korean pop music to invade the Philippine radio scene. We won't even be surprised that every company party would have at least one "Nobody"-themed presentation (aminin!). Just for your amusement, check out this cool dance showdown. Hands down, "Single Ladies" is one of the most popular, most played, and most critically-acclaimed songs of the year, thanks to its message of female empowerment heard through a powerful, catchy beat. It also helped that it's paired with a superb music video, which has been imitated by many YouTube users (like this one), and spoofed by big stars (male ones at that!) like Justin Timberlake and Joe Jonas of the Jonas Brothers. Furthermore, Beyonce's "Single Ladies" was the first No. 1 song in the US Billboard Hot 100 for 2009. It won three MTV Video Music Awards (including Video of the Year) and garnered three Grammy Award nominations (including Song of the Year). And we know this song's a winner for you, too, as it's a fixture in your mobile phone's ring tone and in your iPod's "feel-good" or "moving on" playlist. 2009 is definitely Lady Gaga's year--she emerged as one of the most sought-after artists of the year, in which she made five chart-topping hits (not to mention a super winner album, The Fame). And this is the very song that catapulted her to music stardom. "Poker Face," despite its short, one-week stay in the Billboard Hot 100, has made an indelible mark on the consciousness (and playlists) of listeners and viewers. Not only is it LSS-inducing, we all love to imitate her dance moves, too. Her performances are over the top, undeniably memorable and shocking, but all worthy of our awe and admiration (don't you just love her?). "Poker Face" received three nominations in the Grammy Awards including Song of the Year and Record of the Year. Its music video has also received nominations from the MTV VMA 2009, where Lady Gaga was hailed Best New Artist. Who doesn't feel exhilarated whenever Black Eyed Peas' "I Gotta Feeling" plays on the radio? While the song may not have critically-acclaimed and well-thought-out lyrics, its simple, infectious beat is admirably, well, brilliant! Listeners cannot tune out the song without first getting into a party mood--whenever, wherever they are. And for that alone, we think "I Gotta Feeling" deserves to top our list. Furthermore, it is an international success and made history by staying at #1 in the Billboard 100 Charts for 14 weeks. The song received two nominations at the Grammy Awards including Record of the Year. It was also featured in a one-shot video made by the students of Universite du Quebec a Montreal and in Oprah's 24th season kickoff party. To Cosmo chicks, it holds a special place as the finale song in the Cosmo Bachelor Bash 2009.